Traded volume was at five million shares, though it remained slightly higher than its 30-day average volume of 4.2 million shares. FAB has gained 33.26 per cent in the past year and has a price-to-book ratio 1.91 times. This compares with a price-to-book of 3.02 times for National Commercial Bank and 3.74 times for Al Rajhi Bank. 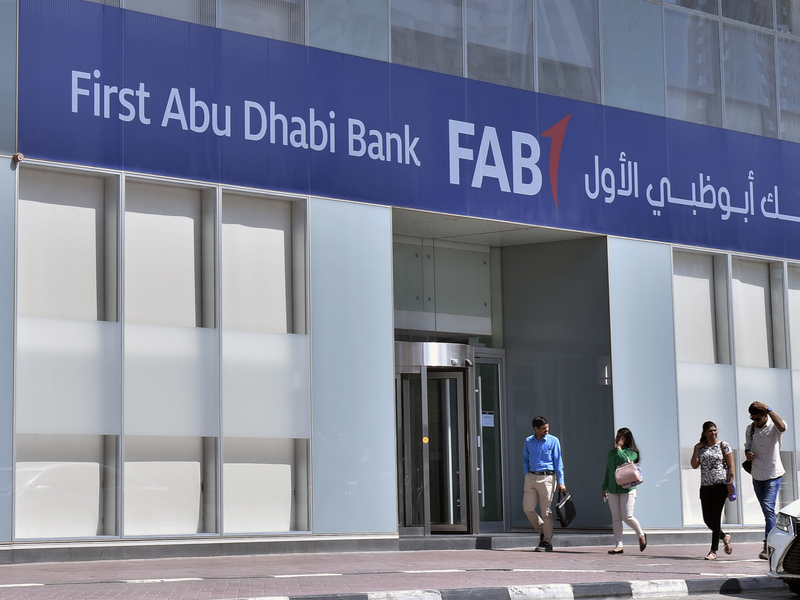 “Even though FAB is expensive relative to other UAE banks, investors are comparing the valuation levels with that of other top banks in the region. Based on this metric, there is some more room to go,” said Vrajesh Bhandari, senior portfolio manager, Al Mal Capital. The Abu Dhabi Securities Exchange general index closed 0.93 per cent higher at 5,222.23, with Abu Dhabi Commercial Bank closing 2.46 per cent lower at Dh9.11. Union National Bank was 0.55 per cent lower at Dh5.41. Dana Gas inched 2 per cent higher to Dh1.05. Aldar shares ended the day 2.89 per cent higher at Dh1.78. “Aldar shares may form a base at Dh1.70 and may recover to its previous highs of Dh1.97/2.10,” said Shiv Prakash, senior analyst with First Abu Dhabi Bank Securities. The Dubai Financial Market general index finished 0.62 per cent higher at 2,805.04. Dubai Islamic Bank, which was the most-active stock, closed 1.39 per cent higher at Dh5.09. Islamic Arab Insurance Company (or Salama) closed 10 per cent higher at Dh0.550. Traded volume surged 14 times to 92 million shares from the 30 day average of 6.5 million shares. “The trend is very bullish in Salama and shares may head next towards Dh0.62/0.68 in the short-term,” Prakash said. FAB had a buy on Salama at Dh0.47 on March 8. The Saudi Tadawul index was marginally up 0.36 per cent to 9,088.13. The index has been languishing in terms of its performance. The gauge has gained 2 per cent in the month so far, compared to 5 gains in March. “In Saudi Arabia, the smart money is now looking at the overlooked midcaps, which are still reasonable in value, yet would also see some flows from the Index Inclusion. First quarter results would also be closely scrutinised to better gauge the underlying growth dynamic,” Bhandari said.